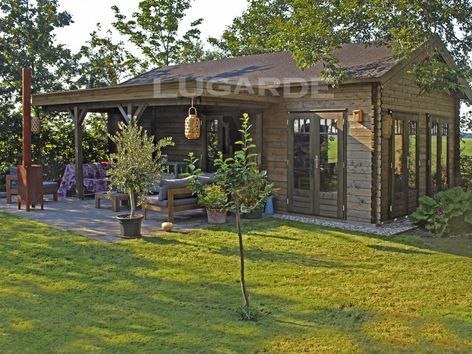 The Forest log cabin has it all! A large open room with 6 sets of double doors, two smaller separate rooms with a loft above plus a large flat roof canopy with posts to the side. 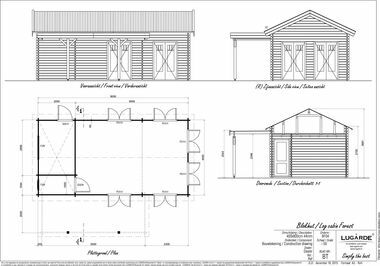 Size of cabin 8m x 4m in 44m plus 5.5m x 2m flat roof canopy. The standard package includes 6 x PE41H double doors, 1 x DDo1H door, 1 x DD03H door, 1 x PJ06 window and 1 x PJ08 window.